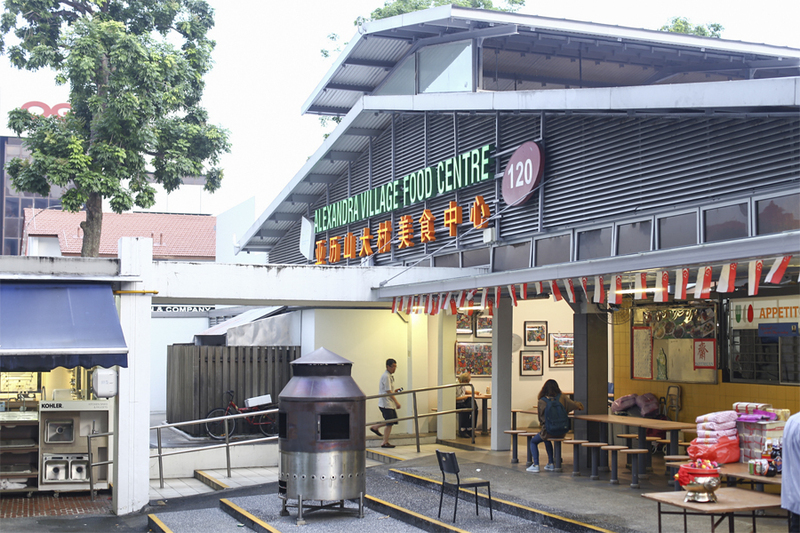 Alexandra Village Food Centre, as well as ABC Brickworks Food Centre are two of the most known hawker centres located at Bukit Merah. 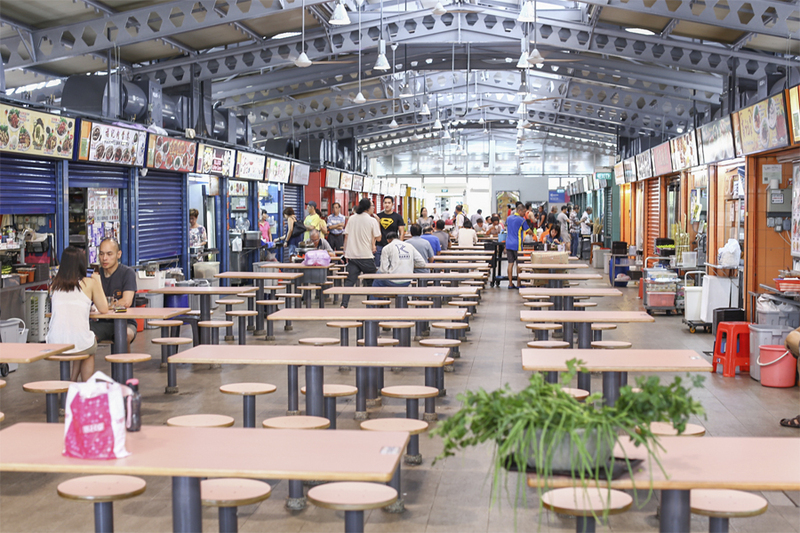 While the fame might not have reached far and wide, location slightly inconspicuous as it is hidden among car workshops, the food centre offers a wide range of stalls and some quality offerings which make it worth a visit. It is just a short walk away from IKEA and Queensway Shopping Centre. A friend asked, “Anything there other than Avocado juice?” Perhaps she hasn’t explore enough. 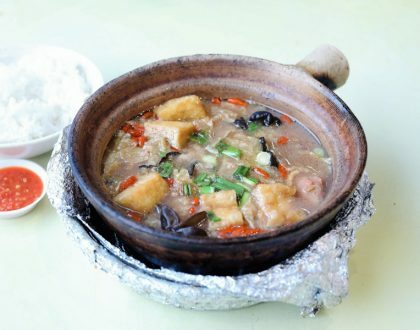 Other than those listed here, some of the worthy stalls to check out include Leon Kee Claypot Pork Rib Soup, Seng Heng Carrot Cake, and Teochew Braised Duck Rice. 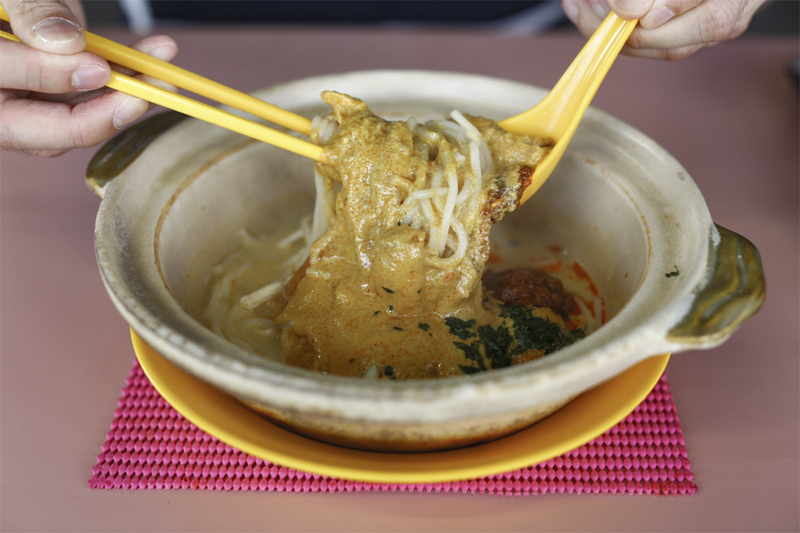 The Michelin Bib Gourmand listed stall is known for its Laksa ($4, $5) served in a claypot, which is not quite the usual. This ensures that the laksa gravy remains piping hot. The broth is supposedly slow cooked over two hours using a unique blend of spices and ingredients, resulting in a thicker and more flavourful gravy. Coming with toppings including prawns, cockles and fishcakes, I remember it used to taste a lot hotter and better though. When I noticed almost every table at this side of the hawker stall had that green plate, with a pile of ‘mess’ on the rice, I knew I needed to gun for it. Lau Phua Chay Authentic Roasted Delicacies serves traditional Teochew style char siew, roast pork belly and roast duck drenched with a thick, gooey sauce. Unlike most other roast meat stalls, the char siew here is also darker in colour compared to the reddish hue that other char siew stalls tend to have. 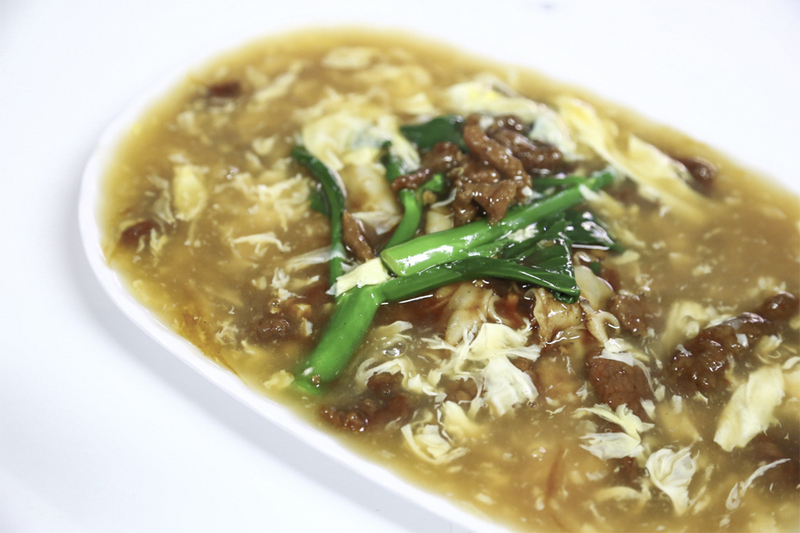 This is due to the Teochew style of marinade and cooking which use a sweeter version of the sauce made by caramelizing bean paste and malt sugar. Depending on the combination of meats, the prices will vary but a platter of all three meats can cost $16. The char siew has a good balance between lean meat and fats, and the marinade provide a flavourful punch. I wished the meats were cut thicker sliced though. There is always a long line here in the morning. Xiang Jiang’s signatures include the soya sauce chicken rice or soya sauce chicken noodles ($3, $3.50). The chicken has a beautiful gloss, smooth meat with good bite (though may not be the best I had). I liked that the noodles were thin and springy, evenly coated in a soya sauce base which imparted a layer of flavour on the noodles. 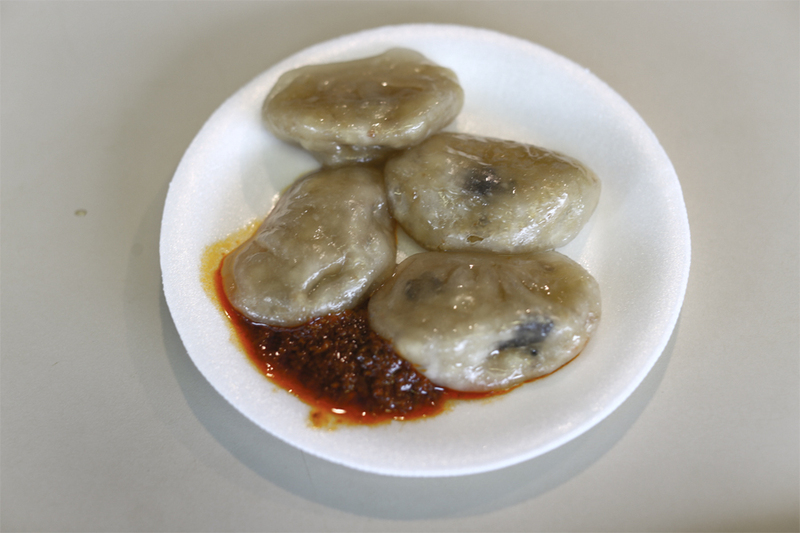 You can also add on sui gao to your order at just $0.70 each, each plump dumpling coming filled with minced pork, prawns and black fungus. 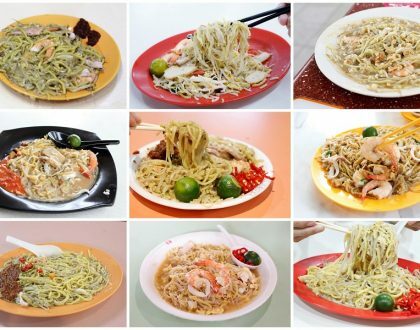 The stall has also been featured in the Singapore Michelin Guide with a “Michelin Plate”. 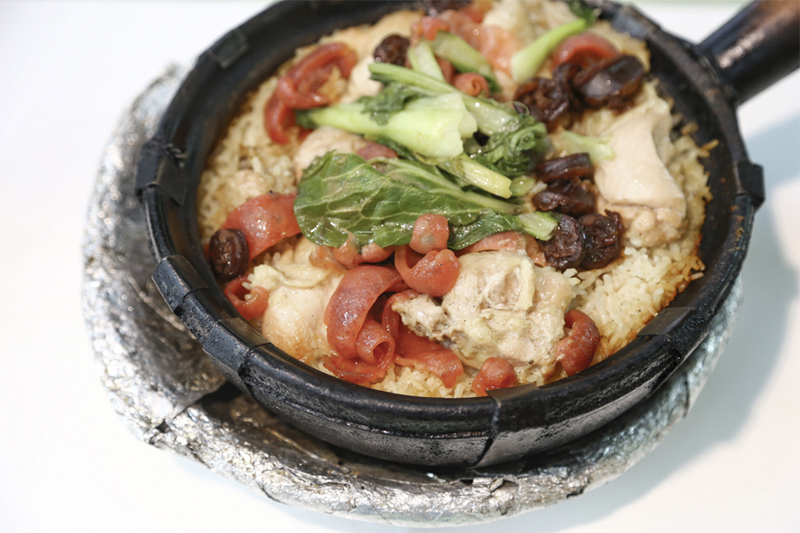 The stalls sells the fragrant dish of claypot chicken rice (price depends on portion size) that comes with a generous portion of lup cheong and boneless chicken meat. You can also add on side dishes including pig stomach with pork rib soup ($4) and herbal black chicken soup ($3). Tip: You can call in advance (say 30 minutes to an hours) to place an order as it will take some time to cook the rice. While this dish has not been extensively featured in other guides, there is typically a steady though short queue. After my first plate, I have been returning regularly. The stall signatures include the Sliced Beef Hor Fun and Sliced Fish Hor Fun. The rice noodles are cooked to order and have a good amount of wok hei. The tender beef pieces are seeping with gravy, though can be on the saltier side. Dishes are priced affordably at $4 a plate, value for its money, and the hawkers are usually quite fast in getting orders out. 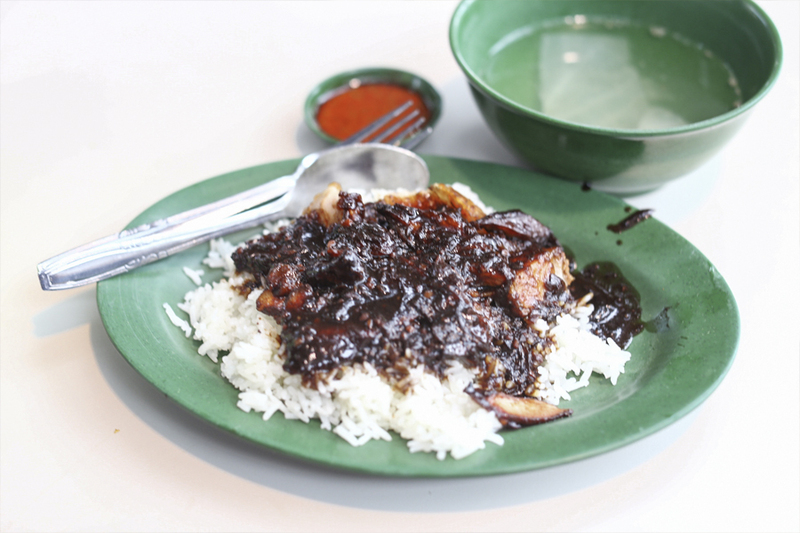 For those who prefer rice, there are also other zi char options such as Pork Ribs Rice. The must try at this stall include the Xiao Long Bao ($4 for 7 pieces) which is very wallet-friendly. 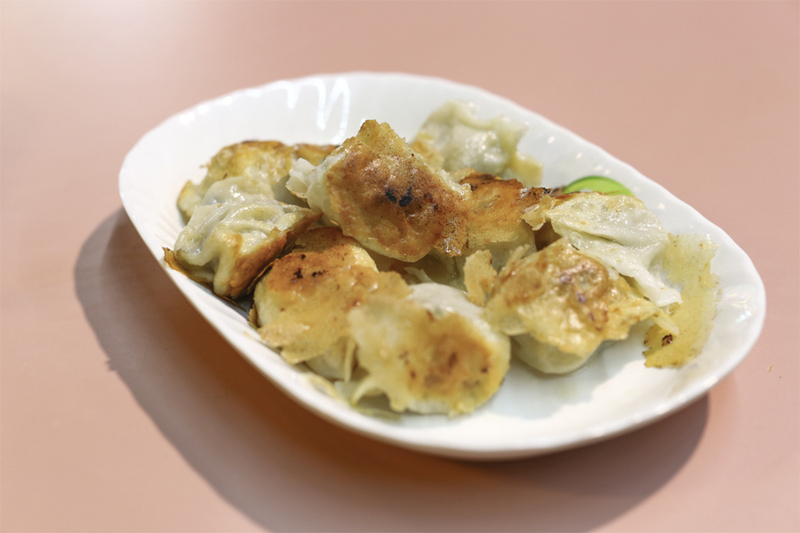 The dumplings made in a traditional style come with a minced pork filling, are well marinated and rather juicy. I find the Guo Tie comparable as well, and liked it crispy thin skin, especially wonderful when dipped in chilli sauce and paired with ginger in vinegar. The La Mian with Fried Bean Sauce ($3.50) is also worth a shot, with minced meat bean sauce drizzled liberally over the freshly cooked noodles. The stall’s reasonable prices and quality make this a popular tall, with one of the longest line I have observed during dinner time. 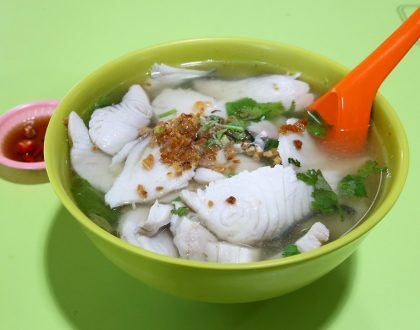 Originally located in Punggol, the stall was closed for some time until the son of the original owners decided to restart the family business. The stall sells chicken, pork, mutton satays as well as ketupats at a decent price of $0.50, a hard find in Singapore these days. 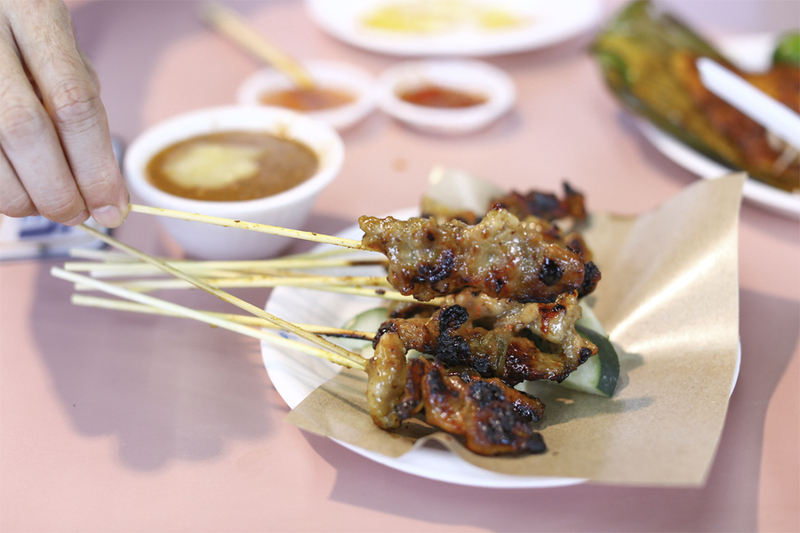 This is especially when the satay sticks come with a generous portion of meat per stick, with a light marinate of soya sauce, sugar, five spice power and wine. The meat on the sticks is also tender and juicy and will slide off the sticks with some ease. The sticks are served with a secret recipe peanut sauce added with pineapple puree. 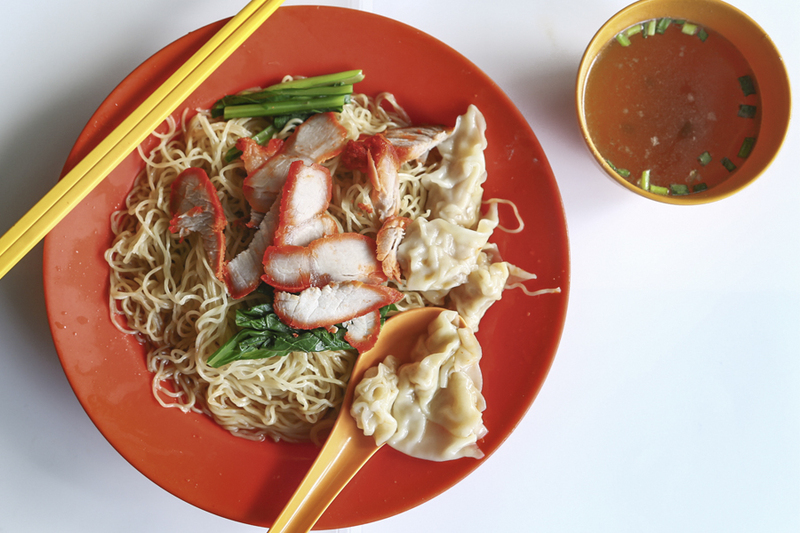 Kai Kee Wanton Noodles was originally located at Dover Road, and has been in operation for over 30 years. There is always a queue during lunch time. Uncle and auntie also occasionally sell out before their official closing time, so it is a good idea to go early to avoid disappointment. 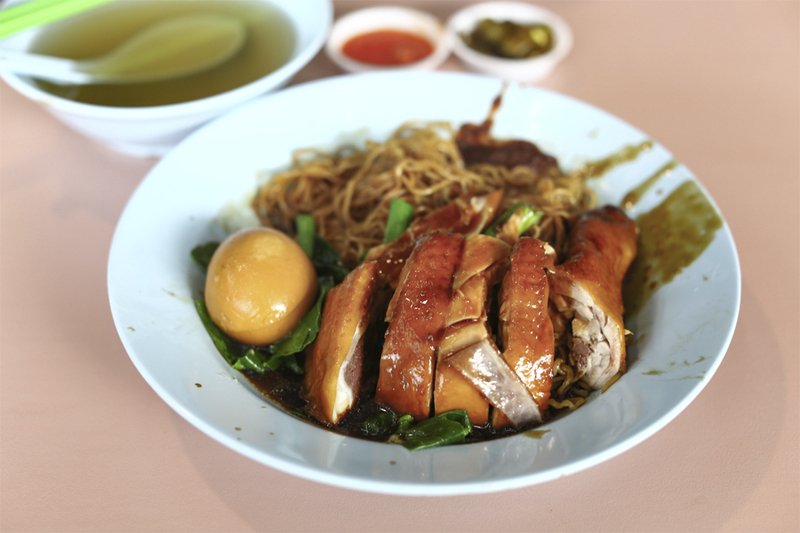 The Wanton Mee ($3 onwards) has that classic old-school Singapore taste. Star Yong Kwang BBQ Seafood is helmed by Mr Eng and his son, who already took over the wok and learnt the tricks of the trade by the time he turned 16. The stall has a very wide range of offerings, and some of the all-time favourites include Sambal Sotong ($16, 28), Har Cheong Kai ($12, $20), Salad You Tiao ($12, $20), and Salted Egg Yolk Pork Ribs ($16). I find the prices slightly on the higher side. 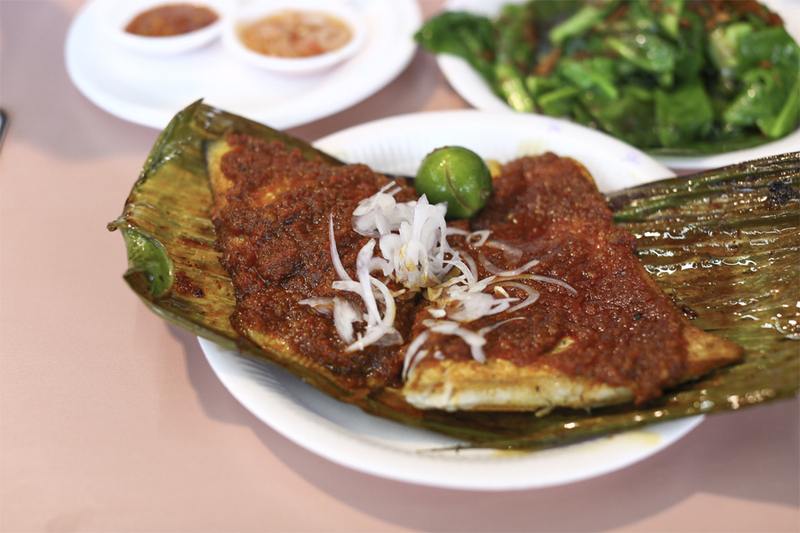 Most customers come of their signature BBQ Sambal Stingray ($18, $22), served with a thick layer of sambal chili on top, with chunky fleshes of meat below. All their dishes are also based on their own recipes, perfected over the years. Back in the good old days, I loved these Crystal Dumplings which were found at the old, old Tiong Bahru Market. This Michelin Guide listed stall (not awarded stars) sell Teochew dumplings filled with turnip and vegetable, red bean, or taro. They are called Crystal Dumplings due to its translucent, delicate skin. The hawkers make them fresh by the hour, and only for a few hours per day (Warning: Don’t ask auntie too many questions or you could get in her bad books.) I still love the chilli, though think that the skin was much thicker than during their heydays. 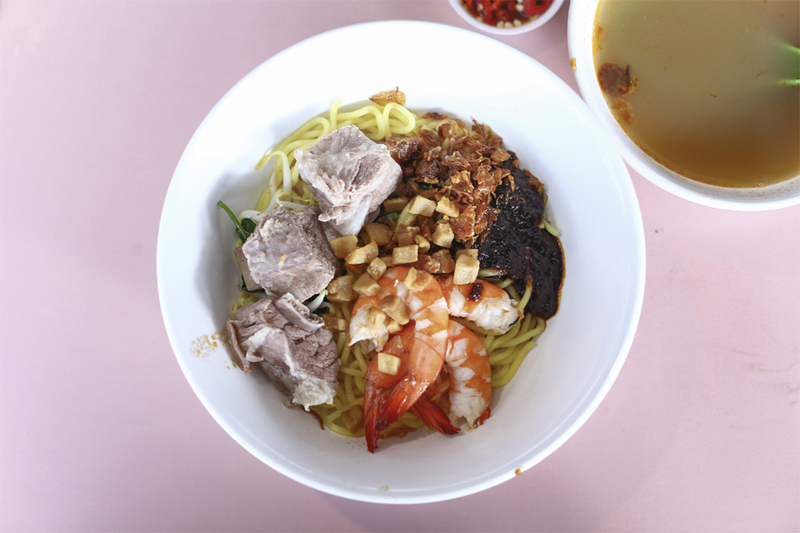 Opened by young hawkerpreneur Chua Jiaming, this stall serves up Prawn Noodles and Pork Rib Noodles affordably priced at $3.50. While the soup looked light, it was still a flavourful broth packed with flavours. I suspect Singaporeans prefer their rich gao-gao soups, but this bowl presented a different, delicate take. 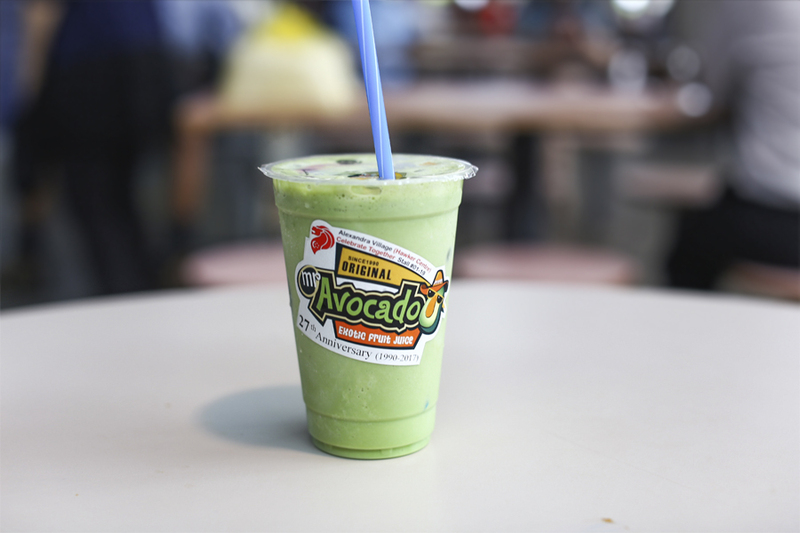 One thing you would notice about Alexandra Village Food Centre is the sheer number of stalls selling avocado juice. There should be at least 5 of them. Out of all the stalls, Mr Avocado claims to be the first one that sold the juice way before the rest. It has been around for over 20 years, featured in many newspaper articles as seen from the clippings that adorn the storefront. The Avocado Juice is served in large mugs at $2.50, considered inexpensive as avocadoes are not the cheapest fruit around. Uncle said he only used top-grade avocado. The drink which is a blend of avocado, evaporated milk and fresh milk has a thick, creamy smooth consistency. Although I find myself craving for a cup every time I am here, I find it rather sweet because of the gula melaka added.